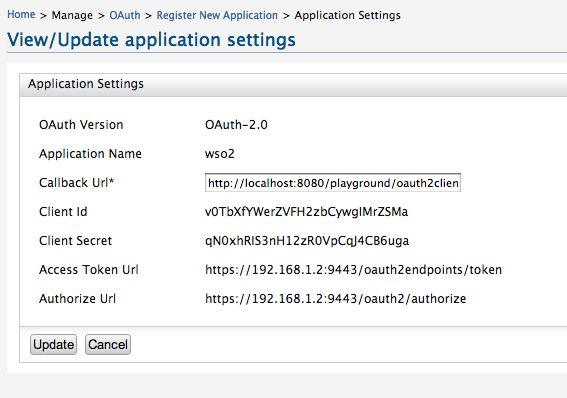 WSO2 Identity Server adds OAuth 2.0 support from it's very next release. Hopefully by the end of this August. OAuth Core specification supports four grant types. First you need to setup the sample web app. You can download it from here and host it in Tomcat. 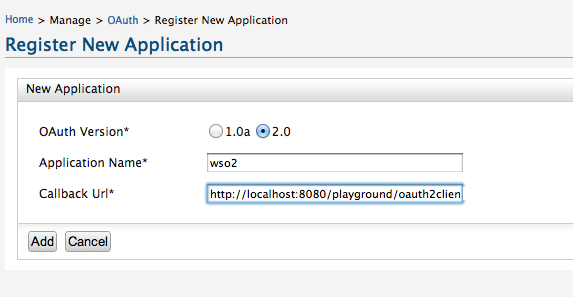 I assume it runs at http://localhost:8080/playground. If the Identity Server is not running on 9443 - then you need to edit the web.xml of the web app appropriately. 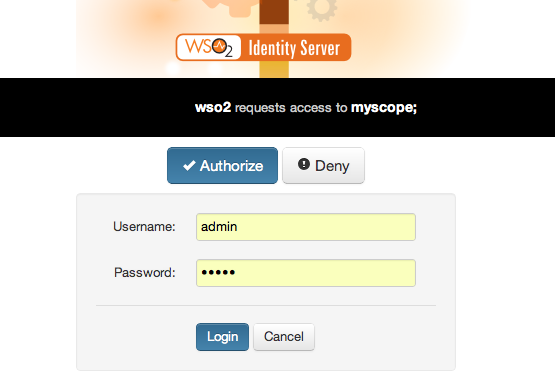 Then you need to download the WSO2 Identity Server 4.0.0 server from here. 7. Click on the application you just created. 8. Copy the values of Client Id, Client Secret, Access Token Url and Authorie Url -- we need these values later during different stages in the web app. That's it. We are done. Now go to the web app... http://localhost:8080/playground. Authorization Grant Type : Select one of the four as per the OAuth spec. Client Id : Client Id from the above image. Client Secret : Client Secret from the above image. 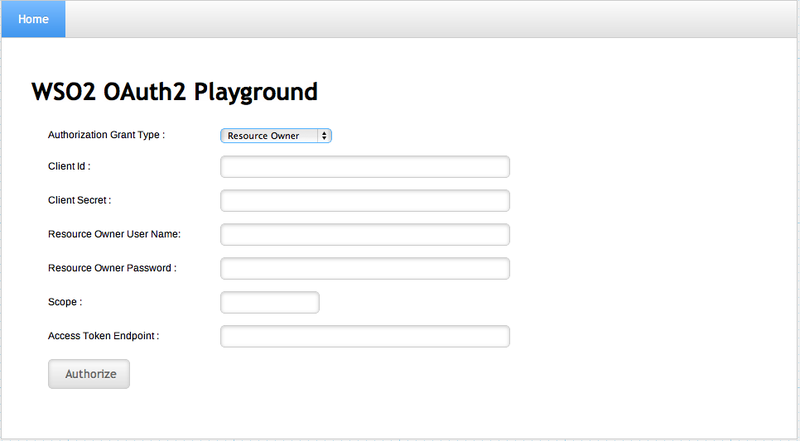 Resource Owner User Name : Any valid user name from WSO2 IS. Resource Owner Password : Password correponding to "Resource Owner User Name". Scope : By default can be anything. No validation. You can override the functionality if needed. Authorize Endpoint : Authorize Url from the above image. Access Token Endpoint : Access Token Url from the above image. 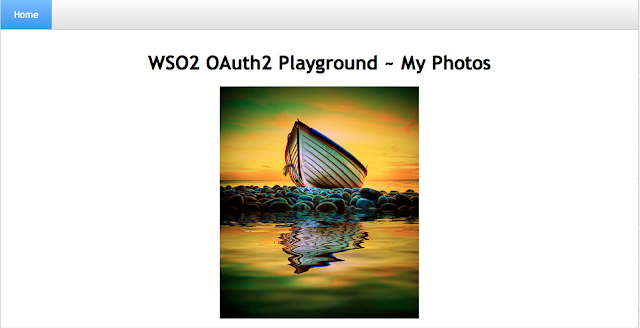 Click on import photos... Then you can execute the OAuth flow by selecting the Grant Type you want. You can download the complete code of sample web application from here. From the root level type " mvn clean install" to build it. Published at DZone with permission of Prabath Siriwardena , DZone MVB. See the original article here.